I spoke recently to a prominent recruiter who noted that 98% of candidates from job postings are not qualified for the job. By “not qualified”, she didn’t mean they had 5 years experience for a position requiring 10, but rather that the candidates had one or more glaring “holes” or “gaps” in their resumes — critical skills that the candidates simply missed or other issues that made them unhirable. At CareerWave, we know a lot about skill gaps because we work with many clients who are making career shifts — either trying to move up into a more senior position or into something new. A central part of all career shifts is the development of new skills or experiences — every career shift, whether up or sideways, means that clients are looking for jobs that have different requirements than the ones they have today. In other words, every career shift involves holes or gaps that must be addressed. We recently worked with Mike (not his real name, of course), who had been in marketing and hoped to move into product development. Mike applied to many jobs but had no traction. He had followed all the best job search advice — he had worked and re-worked his LinkedIn page and his resume and spent hours on his personal marketing statement and answers for common interview questions. He filled his Twitter feed with product development links and had the best answers possible on how his marketing experience might transfer to product development. And even after following all the best advice on the internet for finding a new job, he had no traction. Mike had made the very best argument possible for hiring a marketing person into a product development job. But unfortunately, it wasn’t very persuasive. Because Mike simply didn’t have the skills needed for the job, and try as he might, he was not able to make a strong case that he really understood and would thrive in product development. 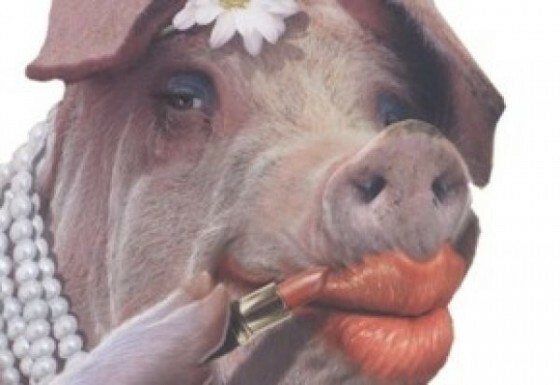 Mike’s problem was that lipstick on a pig only helps so much. And Mike’s resume was a pig for product development jobs. Mike understood this — “it’s a hard switch, I just don’t have the experience I need.” That was true. This response was curious because of its breadth and finality — he seemed to believe that he was the victim of fate, stuck in a place where he had no options and no chance to make a difference in what happens to him. But is that true? “Why isn’t it the same?” Why indeed? These are all things that Mike might not know but could learn. Just the same as he could build the skills and knowledge for a product development job. Of course, the skills for a product development job is a bigger challenge than the recipe for a brownie, but it’s no less doable. And after a discussion, Mike realized this. He realized that his first step was to change his focus from marketing himself better to making himself a better candidate — which then would make it easier to market himself because he wouldn’t have to try to hide huge resume gaps. He needed to shift from personal branding to career development. And with this came the recognition that Mike wasn’t, in fact, helpless to change his career path. Rather than viewing himself as forever stuck, we started talking about strategies to make him into a decent product development candidate, rather than a marketing person who decided one day to make a change. The issue is the same for people hoping for a promotion — as noted in the famous Peter Principle, every move up requires new skills and knowledge, and failing to develop those skills is a sure way not to get the promotion or to fail once there. These are common discussions for career coaches — the internet is filled with advice on how to update LinkedIn and resumes but little on what happens when that isn’t enough. A main focus for career coaches is helping clients understand career development and create and move forward with plans to build the skills and experiences they need to shift careers. It isn’t always easy, but it’s doable with enough focus and help. CareerWave is an online career and business coaching service that is transforming coaching with highly effective coaching that is available anywhere and much more affordable than a traditional coach. Our coaches help clients find careers and companies they love and develop the skills to get them. To learn more, contact us at info@careerwave.me or visit us at careerwave.me.